The U.S. Treasury would consume nearly half of total mine supply if U.S coins contained silver. Prior to 1965, the U.S. Mint included silver in its coinage. The U.S. dime, quarter and half-dollar consisted of 90% silver. However, today they are nothing more than base metal slugs. The U.S. Mint shipped 1.9 billion dimes and 1.06 billion quarters in 2013. 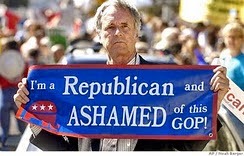 According to the U.S. Mint Annual Report, it cost $75 million to produce these dimes and $97 million for the quarters (based on Cost of Goods), for a total of $172 million in 2013. Furthermore, the U.S. Mint sold a total of 43.5 million oz of American Silver Eagles in 2013 (bullion, collectable sets & proofs). 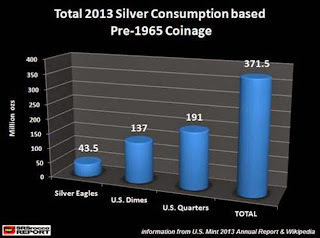 So, if the U.S. Treasury still produced 90% silver dimes and quarters including the total sales of American Silver Eagles, the U.S. Mint would have consumed 371.5 million oz of silver in 2013. 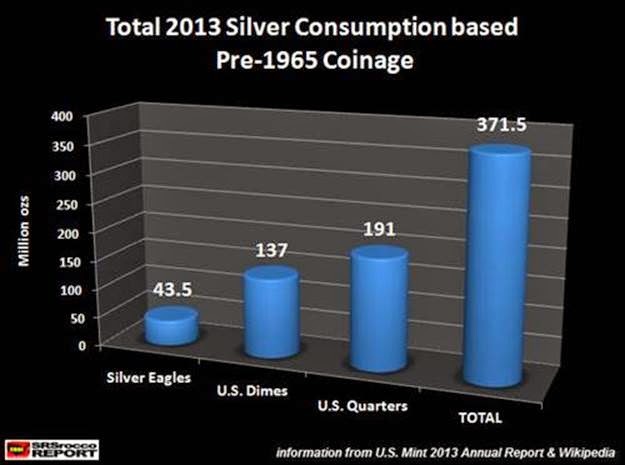 1) If the U.S. Mint produced Real Money Silver Coins, it would consume 46% of total mine supply.